Tonality is the ratio of correlated energy to uncorrelated energy in a signal. The greater the percentage of correlated energy, the more tonal the sound will be perceived. Tonality is often an undesireable product sound and is a result of mechanical operations that occur on a regular and periodic basis. 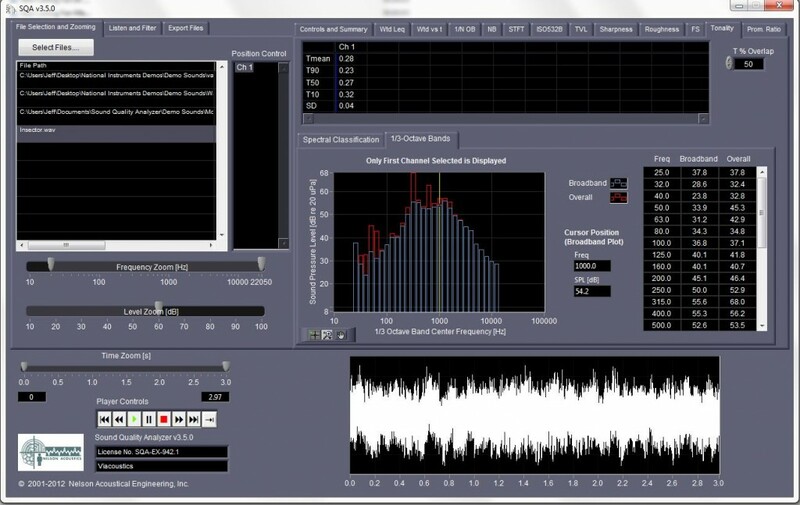 Sound Quality Analyzer conducts tonality analysis using the Aures method and provides the overall tonality (in unit of “tu”) indicating the percentage of total energy that is tonal, along with percentile tonality vs time (90th, 50th and 10th). Also provided are the Total Energy and the Broadband energy in each 1/3 octave band.